Your next summer barbecue get-together deserves a centerpiece, and we’ve got just the thing: a watermelon grill. 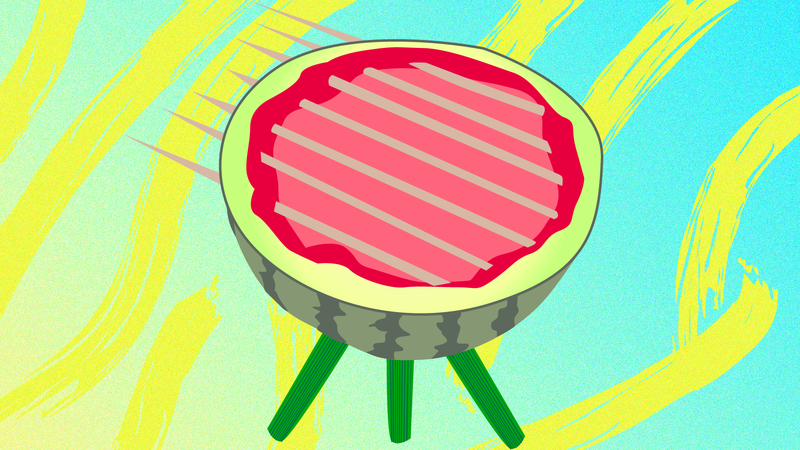 You read that right — a grill made from a watermelon, with legs made of celery. It’s genius, right? The second you throw some fruit kabobs on it, your friends won’t be able to resist snapping a few pics of the creation. Even better, this quirky edible centerpiece is actually very easy to make. Just follow the steps below! 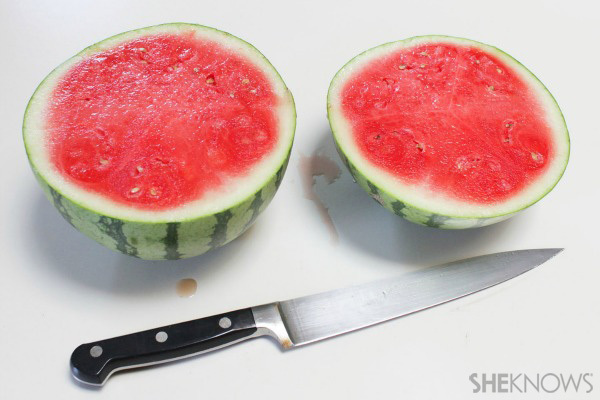 Make 3 holes slightly smaller than the size of your celery stalk in the bottom of the watermelon. 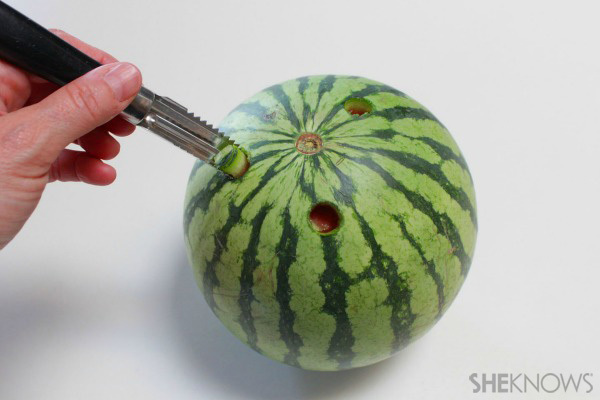 Slice the watermelon. The bottom piece should be slightly larger than the top piece. 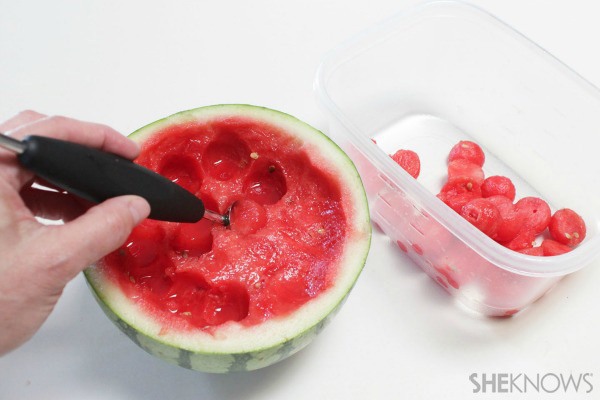 Using a melon baller, hollow out the watermelon bowls. Save the melon balls for the fruit skewers. 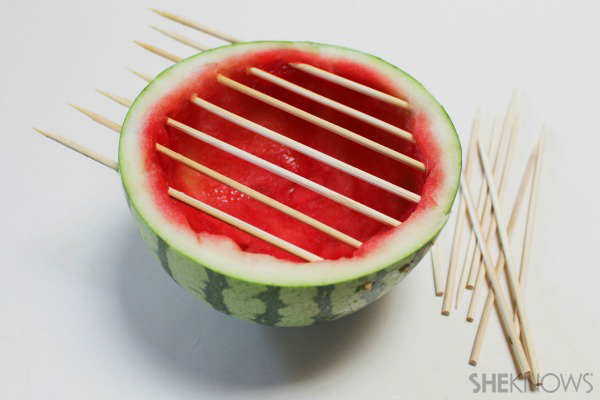 Insert wooden skewers into the top edge of the larger watermelon bowl, pushing them through the other side until they’re flush with the rind. 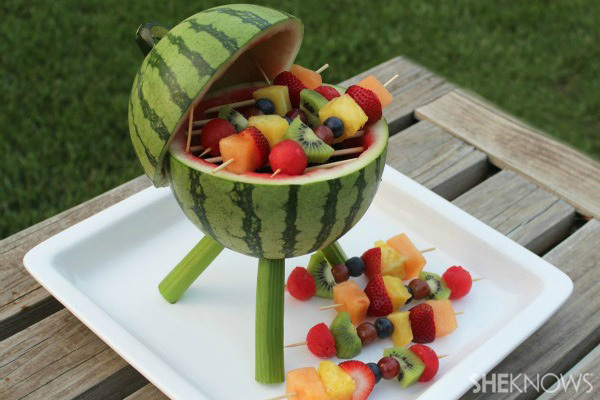 Remove 1 of the skewers, and place blackberries in the bottom of the watermelon for the “charcoal.” Replace the skewer when done. A version of this article was originally published in July 2013.